A few Tibetan bystanders who witnessed the self-immolation of Pema Gyaltsen on 18 March 2017 have been put into custody by Chinese police. 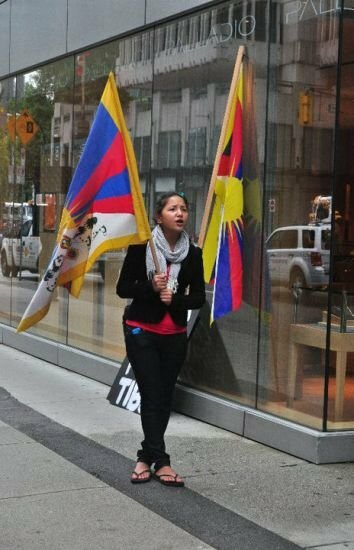 These arrests have to be added to the detention of ten other Tibetan, including Pema Gyaltsen’s own family, who were enquiring about Pema’s wellbeing and arrest. Below is an article published by Free Tibet. People nearby the self-immolation of Pema Gyaltsen in Kardze (eastern Tibet) on 18 March have been arrested, Tibet Watch has reported. Chinese police and security personnel detained a number of Tibetan bystanders who were close to the scene while the 24-year-old farmer was staging his self-immolation protest. Their mobile phones were confiscated from them and it remains unclear exactly how many of them were arrested. Local people are assuming that the witnesses were arrested for security reasons and would be interrogated. While many of them have subsequently been released, it is unclear whether all those who were seized are still being held or not. On the evening of 18 March, the same day as the self-immolation protest, around ten Tibetans including Pema Gyaltsen's family and people close to him approached local authorities to enquire about his arrest and well-being. They were taken into custody and severely beaten. They were all later released, but several of them had sustained severe injuries. Pema Gyaltsen was arrested by police and security personnel at the time of his self-immolation and it has been confirmed that he is now in hospital. However, information about his current state of health as well as his location have not been released. Dozens of people gathered outside the Chinese Embassy in central London yesterday night [22 March 2017] to stage a vigil in solidarity with Pema Gyaltsen. Attendees lit candles in solidarity with the Tibetan protester while many also chanted traditional Tibetan prayers.